This print is part of a series called "The Gardener's Almanac of Irreproducible Phenomena" in which I attempt to capture the mysteries of my garden as it moves through the seasons. 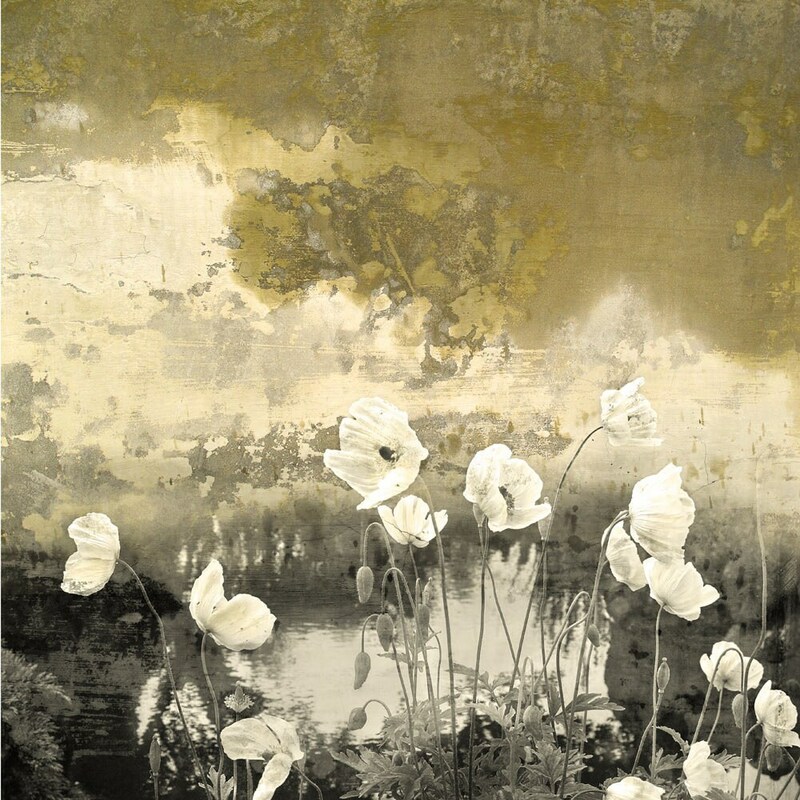 "Poppies Remembered" is based on the golden poppies that grow at my pond, a source of reverie on summer days. 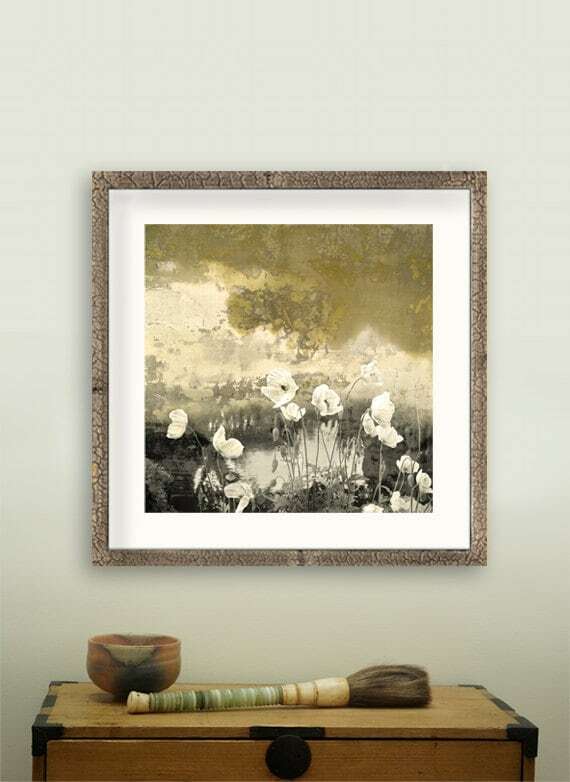 Iskra Fine Art limited edition prints are created from a process that blends original photography, mixed media, and digital alchemy. The finished piece is meticulously proofed and printed on archival paper with pigment inks rated to last for 100 years or more. The prints come with a certificate of authenticity verifying the edition number and the edition size. These prints are traditionally numbered and signed in light pencil with the number on the left and the signature on the right, just below the image. They can be framed with or without a mat. The small botanicals are sized to fit Aaron Brothers Signature Frames, or frames from Crate & Barrel, but can also work in Ikea frames or others with a more vertical proportion.